Challenger 2 Testbed at Tankfest 2011, Bovington, Dorset, England. There is a lot of exterior equipment on it. Added by AlfvanBeem on 23 July 2011. Added by Roger Greenaway on 23 July 2011. 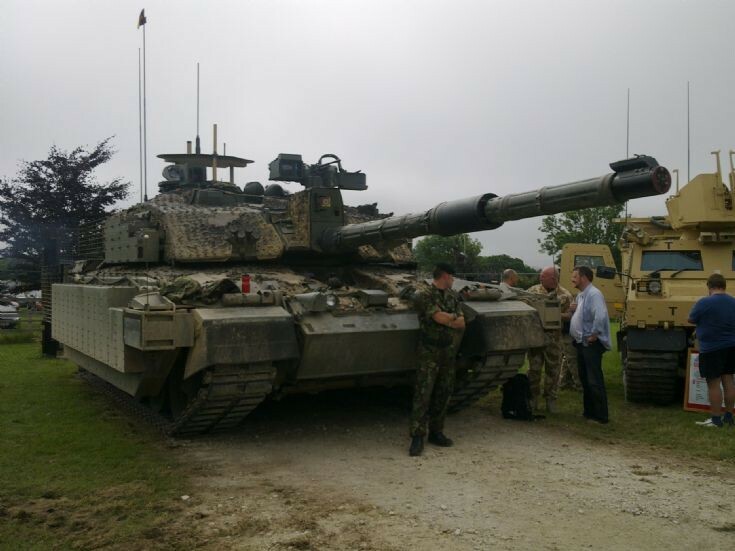 They test anything new prior to deployment on the frond line tanks, everything that is fitted to the Challenger 2 is certified on this tank first. Added by Vic GUY on 23 July 2011.